I’ve been tidying up the greenhouse and thoughts of tomatoes have been on my mind. Mainly I’ve been thinking about where to buy plants and which varieties to choose. Last year I grew Red and Yellow Currant tomatoes which are tiny and unusual but this year I want to grow something more traditional. I’ve been envisioning growing a sweet salad tomato and ‘Gardeners Delight‘, a cherry tomato that I know I love. With this in mind, my interest was piqued at a post that Ballanelson Nurseries shared last week. It was a photo of their tomato plants and their saying that the variety ‘Shirley‘ does well in unheated greenhouses. I had to get up for a visit. The owners of the nursery are Gill and Robert Kneale and I’ve known them for years. 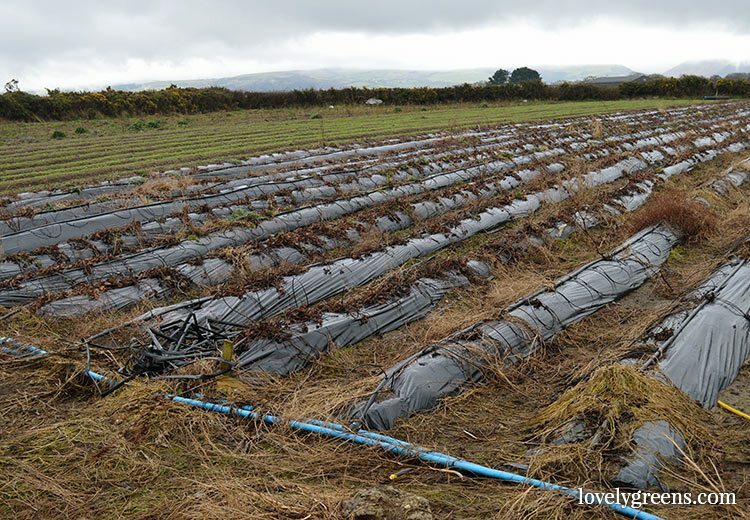 Their farm is in Jurby, in the north of the Island, and it’s where they grow their produce for Robinsons. 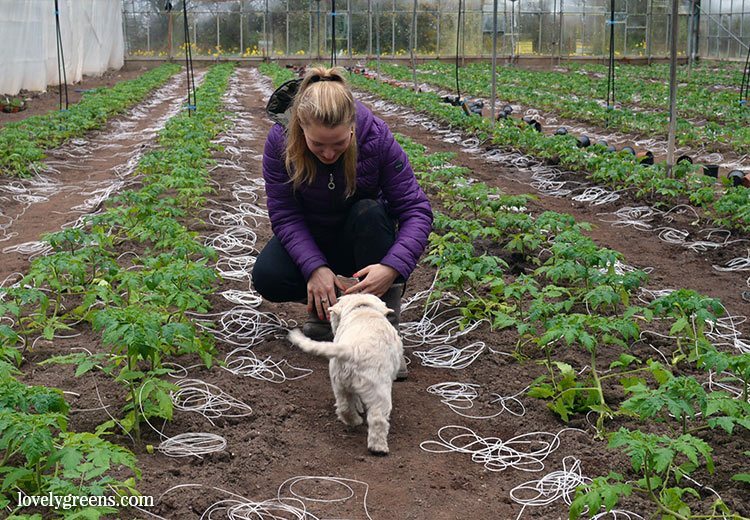 If you’re on the Isle of Man and have bought local strawberries or tomatoes, there’s a good chance that they came from Ballanelson Nurseries. 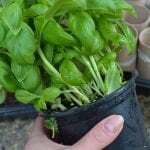 They also supply plants to the public including annual and perennial flowers and edible crops. Having a mooch around is a fun way to spend a Saturday afternoon. Though you won’t see many photos of Gill and Rob on Facebook they do share a lot of Toby, their Westie. He’s practically a local celebrity and Gill says that if she shares a photo without him on their Facebook page then people start messaging. Where’s Toby? Back to tomatoes. 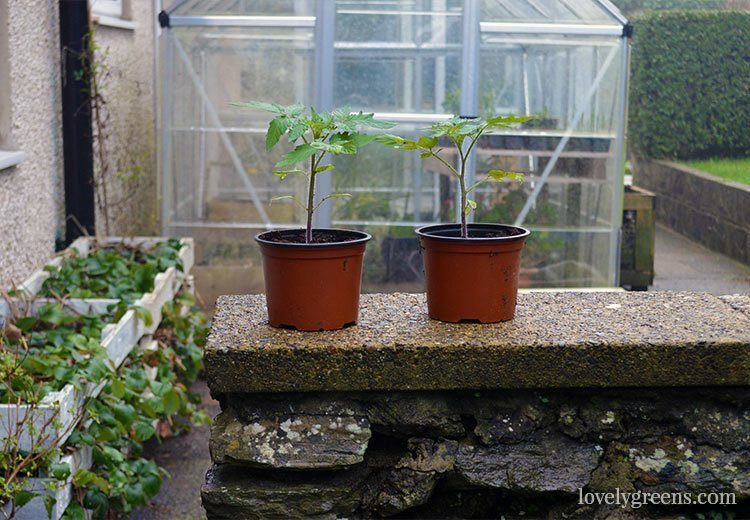 Gill & Rob’s ‘Shirleys‘ sound perfect for growing in my small greenhouse and are practically made for it. With five stars on one major seed company’s website, it’s said that this variety has been a long-time favourite for growing in cold or slightly-heated greenhouses. They’re also disease resistant, half-hardy, and the fruit is early to mature. Often sold in the supermarket still on the vine, ‘Shirley’ tomatoes are of medium size and are a good multi-purpose salad tomato. Since Ballanelson Nurseries grow ‘Shirleys’ commercially, I also wanted to have a look at how they do it. ‘Shirley‘ is a cordon tomato, meaning that it’s grown as one tall stem with any side shoots that form being taken off. 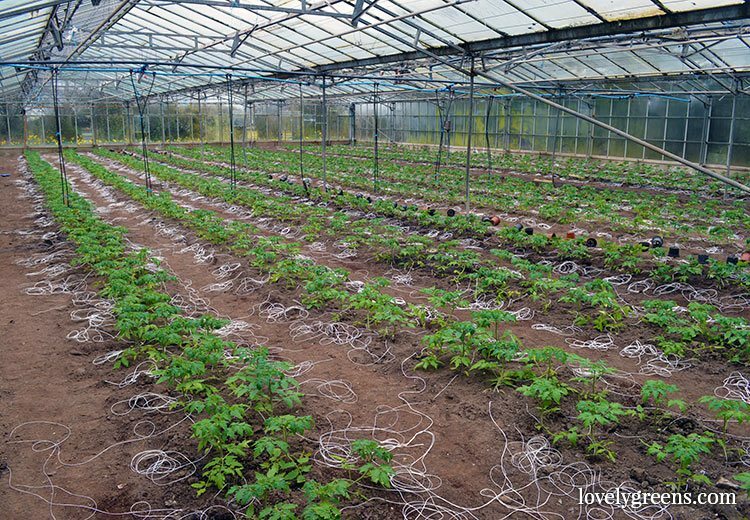 In their tomato glasshouse, Gill & Rob plant the tomatoes direct into the ground and then run a string from the ground up to a support. As the plants grow, they wind them around the string and pinch off any side shoots. Gill gave Josh and I the full tour while we visited and not only did we see the tomatoes but also the strawberries. For the past couple of years, Ballanelson has been supplying strawberries to Robinsons, who distribute them to their own shops and at Shoprites around the Island. To keep themselves in berries all summer, they grow several different varieties both in greenhouses and outdoors. Of all the types they grow, Gill says that it’s ‘Elegance‘ (UK link) that has the longest fruiting period. Under glass, they’ll fruit from May into October. 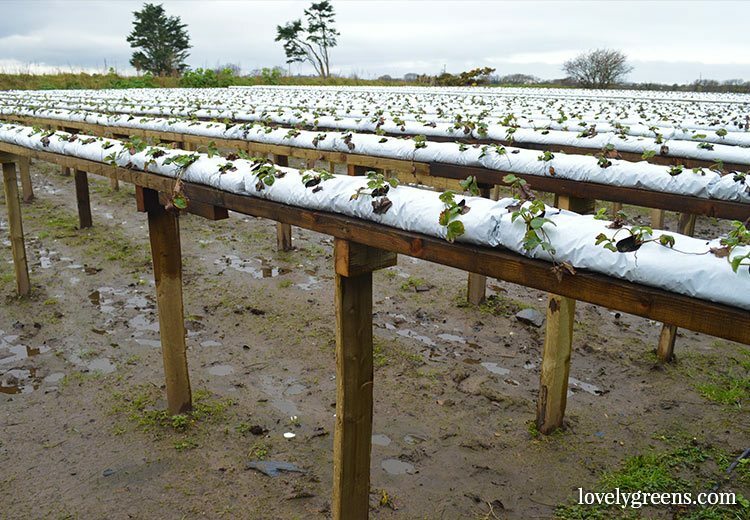 Through the years Gill & Rob have experimented with different ways to grow strawberries. The aim is to produce high yields of berries over a long fruiting season while reducing wastage. After trial-and-error, their preferred method is to grow the plants in elevated bags. The grow bags they commission themselves and the plants are spaced out in two rows about 18″ apart. When the berries are ripe, they hang down against the bag or in the air. 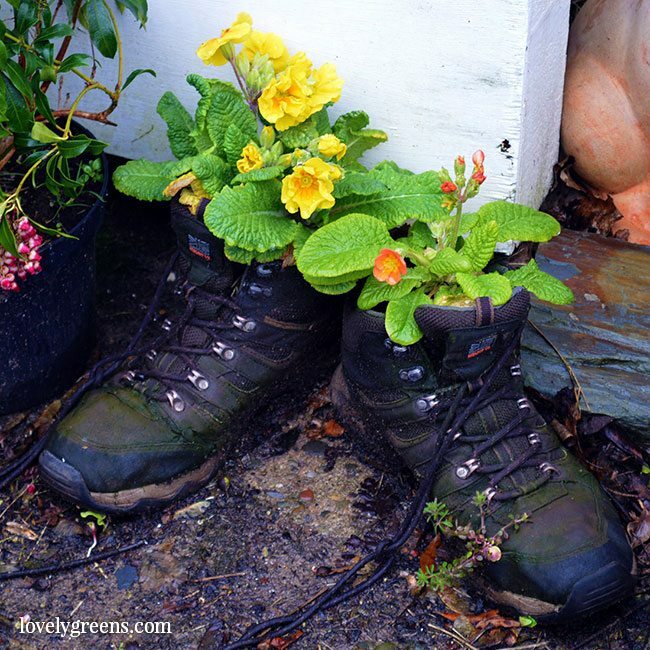 This keeps them safer from rot and slugs and makes them easier to pick. Any berries that are graded lower than supermarket shelf quality are made into jam but they’re also in talks with a local food producer about selling them on. Second grade berries are great for jams, jellies, and compotes and once they’re cooked you’d never know that they were ‘ugly veg’. After a lovely hour of chatting with Gill and Rob we made our way home with a couple of ‘Shirley‘ tomato plants. Now that my greenhouse is scrubbed out and super clean, I’ll be filling my trench planter with compost and planting them up. 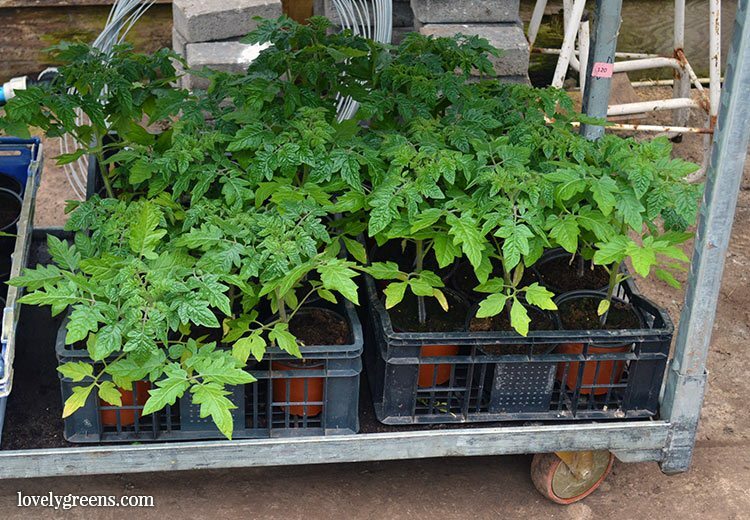 Ballanelson Nurseries is also growing ‘Gardeners Delight‘ tomatoes so I’ll be back next month to pick those up when they’re ready. 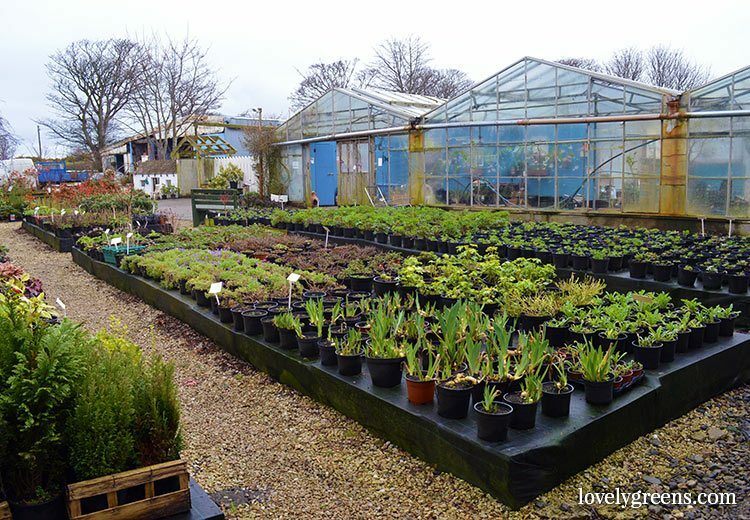 If you’d like to visit the nursery, you can find it on Google maps here. They’re open everyday from 9am to 4pm and offer 10% discounts for anyone showing their allotment association membership card. 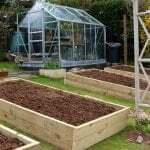 Ballanelson have also been very generous and for the third year running they’ve also donated a gift voucher to our Seed and Plant Share event — it’s on April 9th this year if you’d like to keep that in your diary. Look forward to seeing how you get on with your tomatoes ?! This is our first year on the allotment and I seem to have more tomato seeds than anything else! 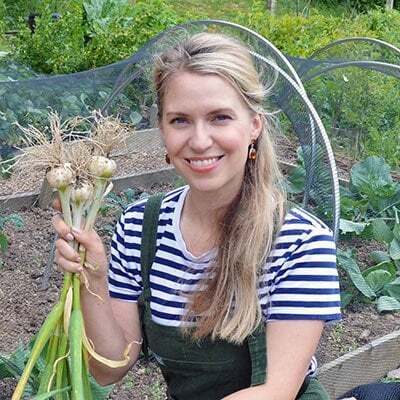 Good luck with your first year having an allotment!